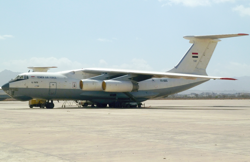 The parked Ilyushin IL-76 was destroyed during a saud-led air-trike on the civilian side of Sanaa Airport. 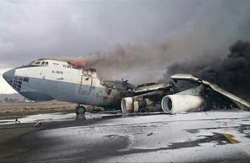 The IL-76 was hit in the wings. Leaking fuel lead to a large fire quickly consuming most of the aircraft. 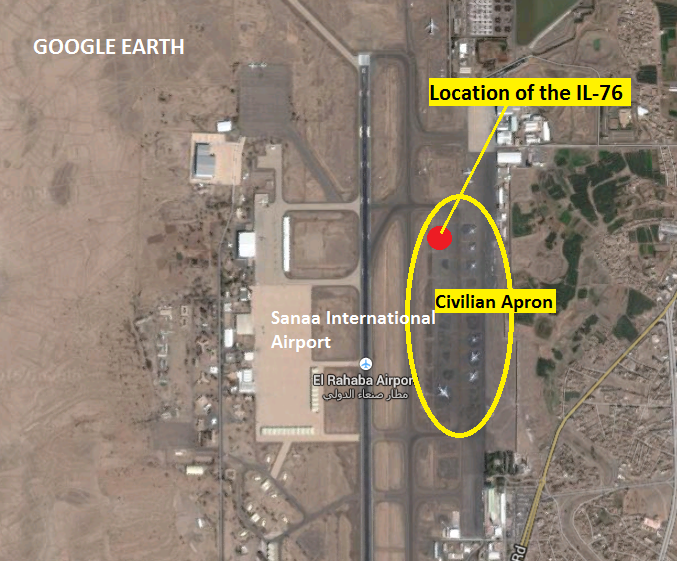 Four other persons at or near the airport have been reported killed during the air-strikes. The air strikes came just a day after coalition jets struck Sanaa’s al Dulaimi military airbase, destroying the last remaining landing strips in the war-torn country. Saudi Arabia is trying to restore Hadi’s government.